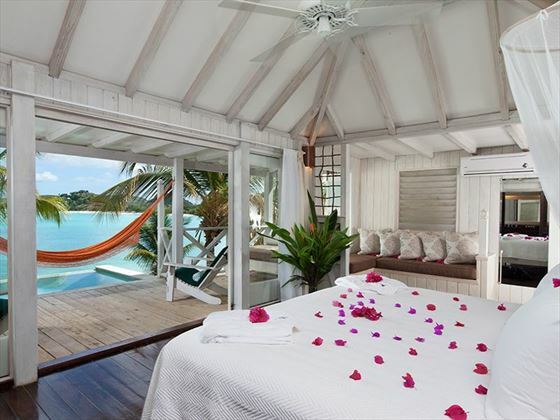 Romance is in the air at Cocobay Resort. 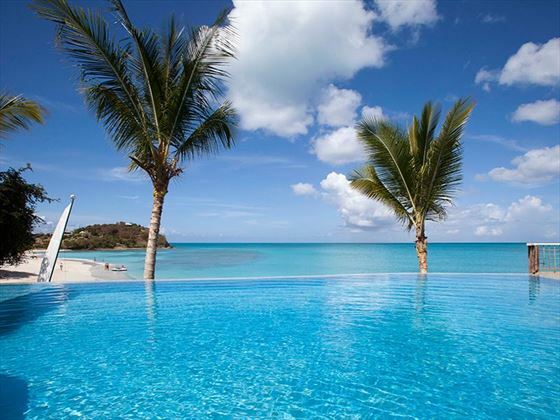 One of our most idyllic adult-only resorts in Antigua, this secluded paradise is perfect for honeymooners looking to escape to paradise. 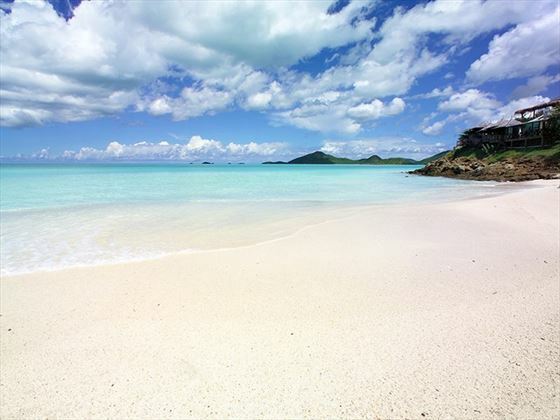 Pretty pastel coloured cottages crown a hillside shrouded in emerald green flora, winding down to two breath-taking beaches and turquoise ocean views that continue for as far as the eye can see. The staff here are worthy of enthusing about. Unwaveringly attentive and always with a smile on their face, you’ll instantly feel at ease as you settle into island life. The emphasis is on relaxation here, made easy by the two gorgeous infinity pools, but there are a few water sports available should you fancy an afternoon of activities. With incredible views of Ffreyes Beach from the floor-to-ceiling windows, each cottage is airy and enticing, with minimalist décor so as to not take any focus away from the naturally beautiful scenery. Each cottage is just as rustically luxurious as the next, but the Chattel House suite is the most lavish of all, with unforgettable ocean views, and a terrace featuring a plunge pool, hammock and outdoor tub. 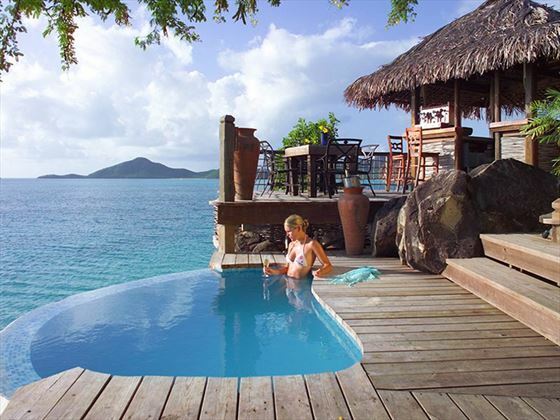 The two restaurants at the resort also evoke the wonderful sense of barefoot luxury. Our favourite is Sheer Rocks, a romantic cliffside eatery featuring six privately romantic pavilions connected by a wooden deck. A simple yet flavoursome Mediterranean menu is the perfect accompaniment to a loved-up evening for two. 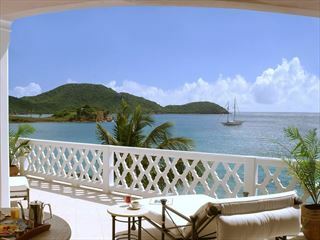 Set amongst ten acres of tropical scenery overlooking Ffreyes Bay in Antigua, creating a fresh, peaceful and relaxing atmosphere for your Caribbean getaway. 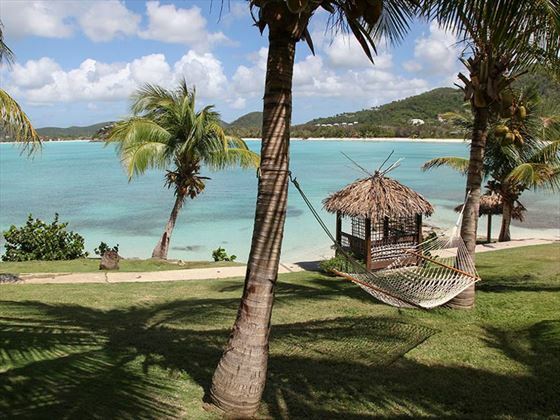 Cocobay Resort is just 25 minutes from the capital of St John’s. Secluded and peaceful, this coastal location is within easy reach of several beautiful beaches including Jolly Beach, Turners Beach and Valley Church Beach. 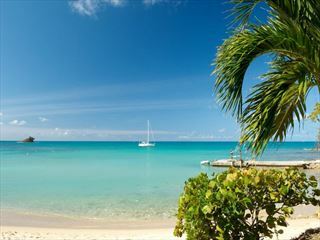 The resort is five minutes from the Jolly Harbour complex where you’ll find shops, restaurants and casinos; you will also find tennis courts and a golf course here. 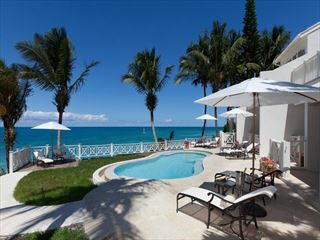 The resort is a 45 minute journey from V.C Bird International Airport. The resort provides 57 cottages and four Plantation houses. Please note: CocoBay charges for Wi-Fi connections in all areas where Wi-Fi is available, except in the Lobby where clients can use the free internet at the hotel computer. The charge is US$ 8 / 24 hrs (per day).